The Arctic Forum in St. Petersburg has brought together more than 3,600 representatives of Russian and international businesses and government bodies, Deputy Prime Minister and Presidential Plenipotentiary Envoy to the Far Eastern Federal District Yury Trutnev told reporters. "More than 3,600 representatives of the Russian and international business community, as well as from the authorities of leading countries are taking part in the forum, 50 percent more than last year," he said. The biggest delegations came from China, Norway, Finland, Sweden, the US, Denmark, Iceland, Canada, and Japan. The heads of five states — Finland, Iceland, Norway, Sweden and Russia — are forum speakers. Overall, the convention is attended by representatives of 52 countries. Thirty agreements worth a total of 69.8 billion rubles have been signed at the International Arctic Forum, Yury Trutnev said. "Thirty agreements have been signed, amounting to 69.8 billion rubles, taking into consideration only those that disclosed the amount, where this is not a commercial secret. Twenty more agreements are expected to be signed," the official noted. 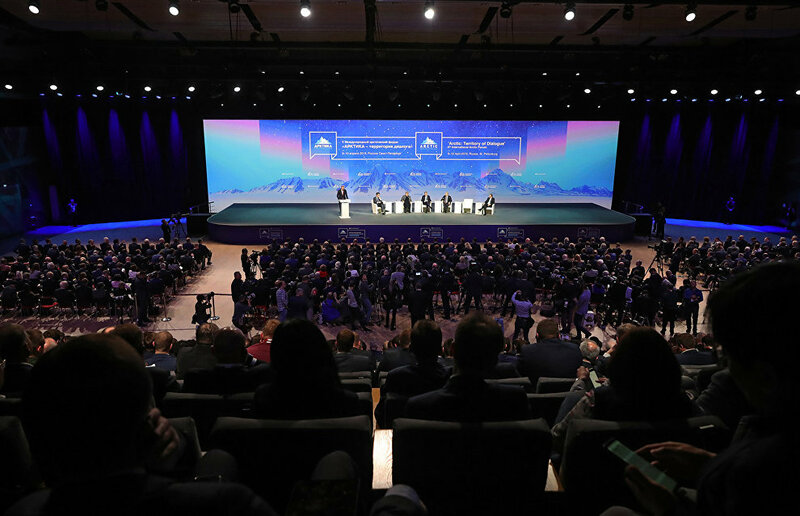 The Arctic: Territory of Dialogue International Arctic Forum is taking place from April 9-10 in St. Petersburg, its key theme being "The Arctic: An Ocean of Opportunity." The business program is comprised of three tracks: Coastal Territories, The Open Ocean and Sustainable Development.